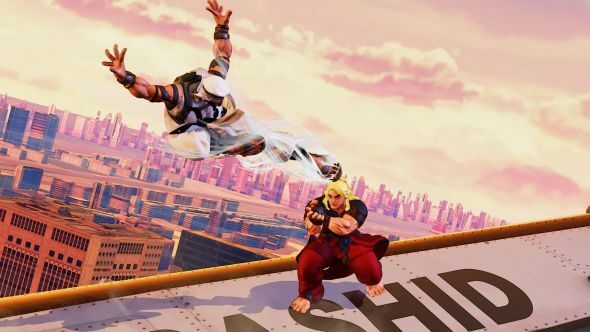 If one game has had a rocky year, it’s Street Fighter V. Perched to be the next redoubling in interest of the fighting game genre, it instead came out to complaints of instability, poorly planned servers, missing features and poor sales. In a recent interview, game figurehead and executive producer Yoshinori Ono confirmed that all this isn’t holding them back from pushing forward with plans to support the game – things are confirmed through 2020 now. Read more: the best PC games of 2016. The first Street Fighter V Capcom Cup will take place next month, and is likely to see the reveal of the first DLC character for SFV’s second year. Some are also predicting some sort of all-in-one boxed edition as a re-release to try to garner more support and dispel the negative connotations associated with the game now that it has many of the features some felt it should have launched with. Ono also went on to say that he’d like Capcom to put out more fighting games in the next few years, but that focusing on developing SF’s eSports scene is on the table before that. It’s possible that the poor performance of SFV has influenced that schedule, making it impossible for Capcom to focus on other titles where they might have been able to had the audience been more obvious from a super-successful Street Fighter game. “The more people participate, the bigger tournaments we can host, and the more people are going to watch them, which is directly connected with our sales, and that’s going to decide the future,” says Ono.